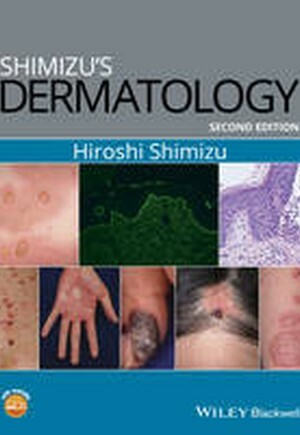 Shimizu s Dermatology 2E again provides practical, didactic, and rapid–reference advice on the most common dermatologic conditions, their diagnosis and clinical management. Diseases cover clinical features, classification, pathogenesis, pathology, treatment and lab findings, and all chapters are packed with key points and tips/tricks to aid clear understanding. Containing over 2000 clinical images, quick and easy diagnosis of symptoms is made easy and straightforward. A companion website will house all images electronically, and fully downloadable for use in presentations, etc. Shimizu s Dermatology 2e offers dermatologists a handy alternative to larger, bulky dermatology reference books: a practical, single–volume guide to dermatology and the major dermatological diseases (and their clinical management) from one of the world s leading experts. The target audience is dermatologists of all levels. Specialists will find it useful as a handy, quick access refresher guide and trainees will refer to it as their first port of call when managing patients in the clinic/hospital, especially when seeing patients who present with conditions that they have not come across before. Trainees will find it useful when preparing for board exams, with the high–quality clinical photos a valuable introduction and reference for all types of skin conditions they will encounter. The addition of a companion website housing all of the clinical images will be an extremely useful tool for the book users will be able to view, save and fully download the clinical images for use in scientific presentations, etc.